GPS watches are currently all the rage. They’re feature packed and performance driven devices that can add incredible value to your daily life. Purchasing a watch, however, is not as simple as you might think. With so many brands and so many options available today, selecting the right one might feel stressful. We took the time to breakdown and assess two top performing watches by two industry leading brands: the Garmin Fenix 5 Plus & the Suunto 9 GPS watch. Garmin has been the industry leader in terms of GPS technology for as long as we can remember. For a good period during the early to mid-2000s it seemed there wasn’t a car on the road not fitted with a Garmin navigation device. Since then, Garmin has dipped its feet in different modes of technology. The latest is the brand’s GPS watch range. Perfect for the sportsman or anyone on the move, the Fenix 5 Plus is taking the world by storm. Suunto is a Finnish company that specializes in the design and manufacturing of sports & diving watches. The Suunto brand is a trusted name when it comes to sports watchmaking and it’s known for the unmatched quality & product longevity. 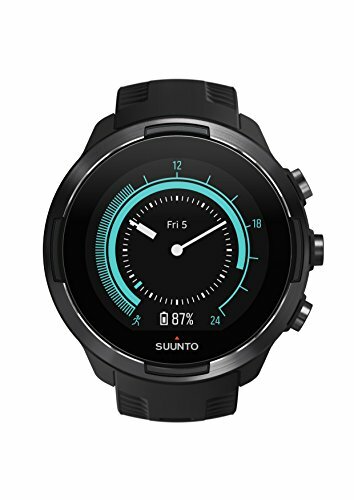 In line with the trend, Suunto now offers a GPS watch called the Suunto 9. In line with its standards, the watch is a combination of style and performance. We took a closer look at the features of both the Fenix 5 Plus and the Suunto 9 & were able to draw some comparisons. Both watches are stainless steel cast and scratch resistant. In our opinion they’re equally as aesthetically pleasing and their durability is obvious from the design. The most notable difference would be that the Suunto 9 has fewer buttons than the watch made by Garmin. Suunto happens to be known for its state of the art battery saving technology. The longevity of the watches is unmatched, providing up to 120 hours of usage on one charge. The feature is called ‘intelligent battery mode’. The Fenix offers just 70 hours of continuous performance on a single charge. Both watches feature soft silicon bands that hold the device to your wrist. While they’re both lightweight, the Suunto is slightly lighter and would therefor qualify as the more comfortable option in this regard. Both of the watches have a variety of sporting modes and navigation functions to choose from. The biggest difference really lies in customization. The interface of the Garmin allows for more custom built modes and functions to be put into place. The Suunto offers this to a more limited degree. Both the Garmin and the Suunto have full Bluetooth connectivity. This allows the watches to connect to your cellular device or ear pods and relay information back & forth. The Garmin watch is also able to connect to ANT+ and WiFi devices, while the Suunto is not. The navigation interface on the Suunto is relatively basic in terms of mapping and design. 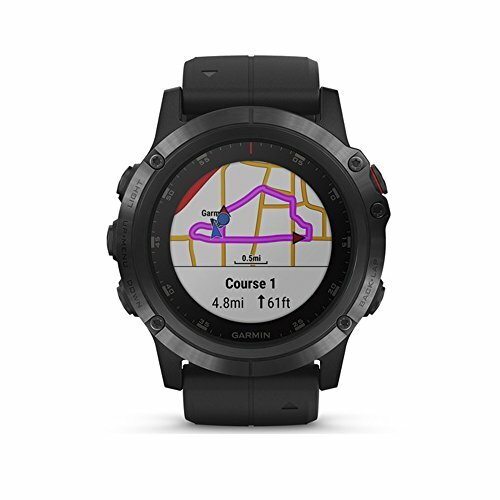 The Garmin features far more impressive software that draws real-time maps based on the terrain ahead… in full color! 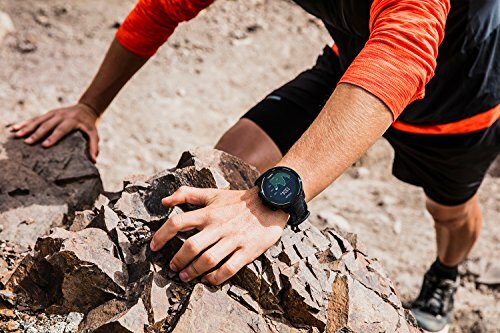 The Fenix 5 Plus is the first GPS watch to offer onboard music storage of up to 500 songs. Through Bluetooth and WiFi you’re also able to stream a variety of music through the device. The Suunto doesn’t offer any music playback abilities. Suunto comes in at $599 while the Garmin Fenix will set you back a solid $699 and up. This is largely due to the abundance of features packed into the Garmin that out plays the abilities of the Suunto every time in our opinion. It must be noted that this little gadget by Garmin is packed with astounding sensor capabilities. It’s able to monitor everything from heart rate to blood oxygen saturation. This can save a human life when used at high altitudes. We love the payment ability in this watch. By linking your credit card to the Garmin pay app you’ll be able to breeze through checkout lines wherever there’s a scanner present. The LCD screen is full color and equipped with back-lighting for use in the dark. Under harsh sun, the watch reflects the light in order to make the watch face easily readable. We mentioned the vast extent of customizability within this watch. This extends to the watch’s physical design as well. The straps are easily interchangeable and can be matched to the rest of your sports gear. Next to the Garmin it’s easy for the Suunto to go unnoticed. However for anyone who is not interested in copious amounts of features, this watch is a sleek and simple solution to GPS watch technology. The interface is straightforward and simple to use. With the touch of a button you can alternate between normal mode and intelligent battery mode. This is state of the art technology currently only present in Suunto devices. Your watch has the ability to run for up to 120 uninterrupted hours. Suunto has also released a range of apps designed to track and record a variety of data based on the user’s activities. These apps will link directly with the watch in order to retain information. If you aren’t already, it’s time to get involved in the world of GPS watches. As you can see both Garmin and Suunto have their respective benefits & downsides. It’s up to you to simply decide which one is more relevant to your sporting needs.